We'll leave Halifax bright and early and follow the lighthouse route to visit Peggy's cove and the picturesque coastal towns of Chester, Mahone Bay, and Lunenburg, where you'll get a chance for an evening sail and a lobster boil in one of Nova Scotia's most historic villages. For the last part of your trip we'll sweep on over to the Anapolis Valley where you'll have lunch and sample wines at Luckett's Vineyards and be able to see at least one of the tides of the Bay of Fundy. This is the real deal, get to sample just about everything Nova Scotia has to offer. You'll get everything mentioned above, plus you'll get to go glamping for two days with Cape LaHave Adventures. 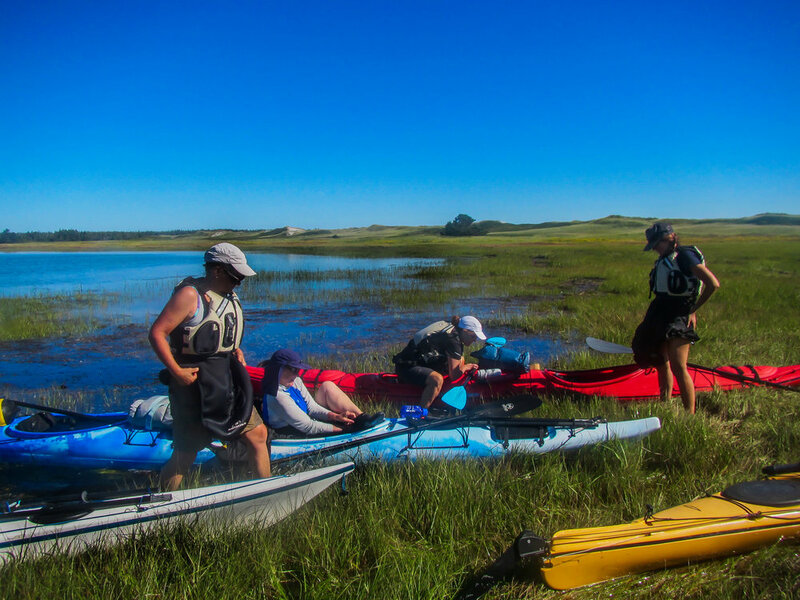 You'll depart from Mahone Bay where they'll set you up with all you need to spend the night with the best food and stories on one of our many beautiful coastal islands, and you'll get there in your very own kayak. Want to get a little rough in tumble in our landscape? We gotcha covered. Whether you're one, two, or more we'll try to swing it. We have tents, sleeping bags and mats, coolers and camp stoves.